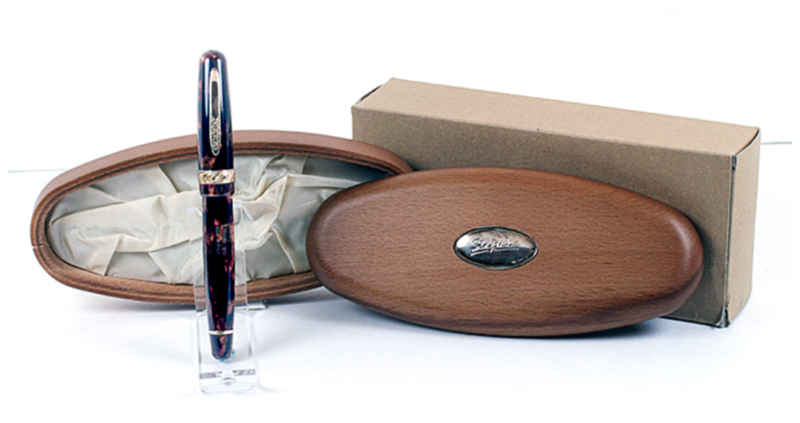 This is a 2001 Stipula Etruria Piston-filling limited edition #1672 in Amber (Red and Bronze). Vermeil trim – gold plated on Sterling Silver. Features two-tone, 18K 1.3mm factory stub nib. New-old-stock. Mint in original box with papers and outer box. Item #51 in Catalog #85. 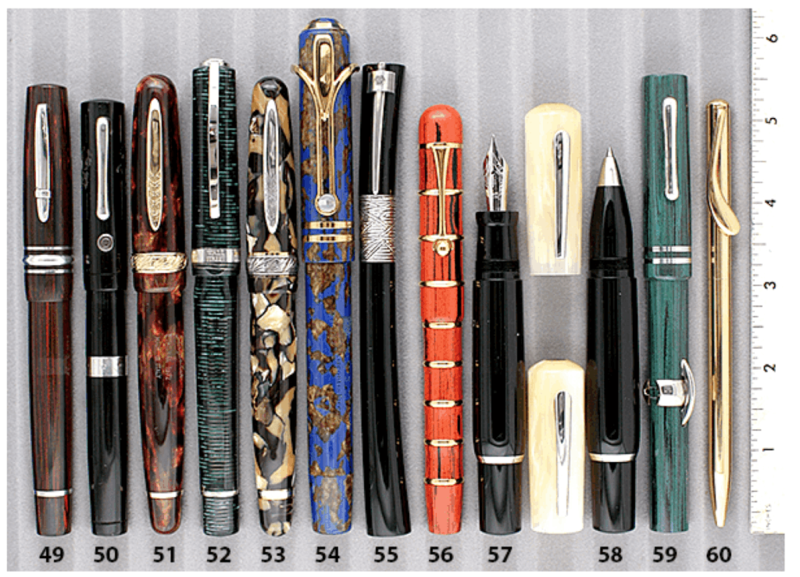 This entry was posted in Modern Pens, Vintage Pen, Vintage Pens and tagged Catalog, Catalogs, Extraordinary Pens, Fountain Pens, Go Pens, GoPens, Vintage Fountain Pen, Vintage Fountain Pens, Vintage Pen, Vintage Pens. Bookmark the permalink. Follow any comments here with the RSS feed for this post. Post a comment or leave a trackback: Trackback URL.